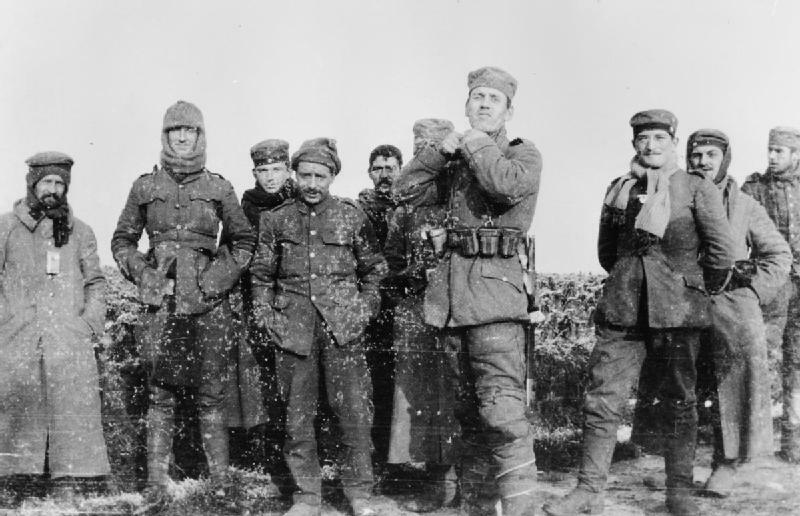 The Christmas Truce was a series of widespread, unofficial ceasefires that took place along the Western Front around Christmas 1914, during World War I. Through the week leading up to Christmas, parties of German and British soldiers began to exchange seasonal greetings and songs between their trenches; on occasion, the tension was reduced to the point that individuals would walk across to talk to their opposite numbers bearing gifts. On Christmas Eve and Christmas Day, many soldiers from both sides—as well as, to a lesser degree, from French units—independently ventured into No Man’s Land, where they mingled, exchanging food and souvenirs. Some held joint burial ceremonies, several meetings ended in carol-singing. Troops from both sides were also friendly enough to play games of football with one another. The Christmas Truce has been widely analyzed over the years and there are numerous nuances I’ll leave you to discover for yourself. In the lead up to Christmas 1914, there were several peace initiatives. “The Open Christmas Letter” was a public message for peace addressed “To the Women of Germany and Austria” signed by a group of 101 British women suffragists at the end of 1914 as the first Christmas of World War I approached. Pope Benedict XV, on 7 December 1914, had begged for an official truce between the warring governments. He asked “that the guns may fall silent at least upon the night the angels sang.” This attempt was officially rebuffed. Though there was no official truce, roughly 100,000 British and German troops were involved in unofficial cessations of fighting along the length of the Western Front. The first truce started on Christmas Eve, 24 December 1914, when German troops began decorating the area around their trenches in the region of Ypres, Belgium and particularly in Saint-Yvon (or Saint-Yves, in Plugstreet/Ploegsteert – Comines-Warneton), where Capt. Bruce Bairnsfather described the Truce. The Germans began by placing candles on their trenches and on Christmas trees, then continued the celebration by singing Christmas carols. The British responded by singing carols of their own. The two sides continued by shouting Christmas greetings to each other. Soon thereafter, there were excursions across No Man’s Land, where small gifts were exchanged, such as food, tobacco and alcohol, and souvenirs such as buttons and hats. The artillery in the region fell silent. The truce also allowed a breathing spell where recently killed soldiers could be brought back behind their lines by burial parties. Joint services were held. The fraternization carried risks; some soldiers were shot by opposing forces. 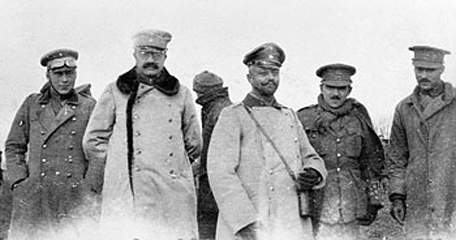 In many sectors, the truce lasted through Christmas night, but it continued until New Year’s Day in others. 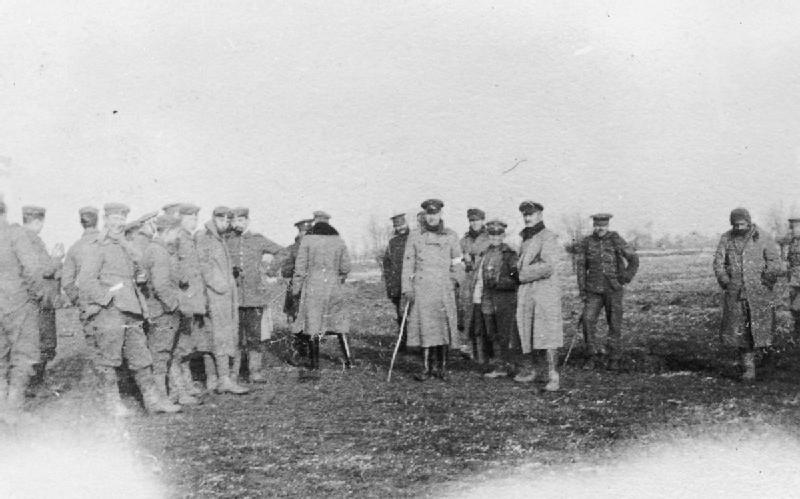 An eyewitness account of one truce, by Llewelyn Wyn Griffith, recorded that after a night of exchanging carols, dawn on Christmas Day saw a “rush of men from both sides … [and] a feverish exchange of souvenirs” before the men were quickly called back by their officers, with offers to hold a ceasefire for the day and to play a football match. It came to nothing, as the brigade commander threatened repercussions for the lack of discipline, and insisted on a resumption of firing in the afternoon. 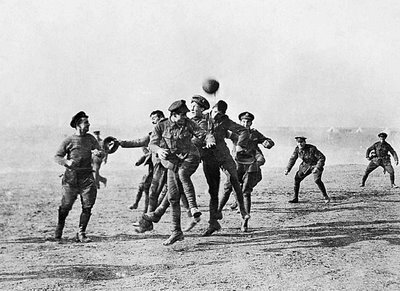 Another member of Griffith’s battalion, Bertie Felstead, later recalled that one man had produced a football, resulting in “a free-for-all; there could have been 50 on each side”, before they were ordered back. The events of the truce were not reported for a week, in an unofficial press embargo which was eventually broken by the New York Times on 31 December. The British papers quickly followed, printing numerous first-hand accounts from soldiers in the field, taken from letters home to their families, and editorials on “one of the greatest surprises of a surprising war.” By 8 January pictures had made their way to the press, and both the Mirror and Sketch printed front-page photographs of British and German troops mingling and singing between the lines. The tone of the reporting was strongly positive, with the Times endorsing the “lack of malice” felt by both sides and the Mirror regretting that the “absurdity and the tragedy” would begin again. Coverage in Germany was more muted, with some newspapers strongly criticizing those who had taken part, and no pictures published. In France, meanwhile, the greater level of press censorship ensured that the only word that spread of the truce came from soldiers at the front or first-hand accounts told by wounded men in hospitals. The press was eventually forced to respond to the growing rumors by reprinting a government notice that fraternizing with the enemy constituted treason, and in early January an official statement on the truce was published, claiming it had happened on restricted sectors of the British front, and amounted to little more than an exchange of songs which quickly degenerated into shooting. The photos in this video are all genuine. High commands have a great fear that if soldiers on each side like each other, or, worse, see that the “enemy” is just another human being, they won’t fight. Amen to that. Smaller truces also occurred in 1915, but, sadly, this is the last time in any conflict anywhere in the world such a joint and spontaneous truce has occurred. May it come again soon, and instead of it being for one day, may it be FOREVER!!! People who celebrate Christmas all have their own recipes, so I won’t add to the pile. For over 35 years my Christmas dinner had an invariant core – roast goose with sage and onion stuffing, my signature roast potatoes, roast pork sausages, and red cabbage with apples. 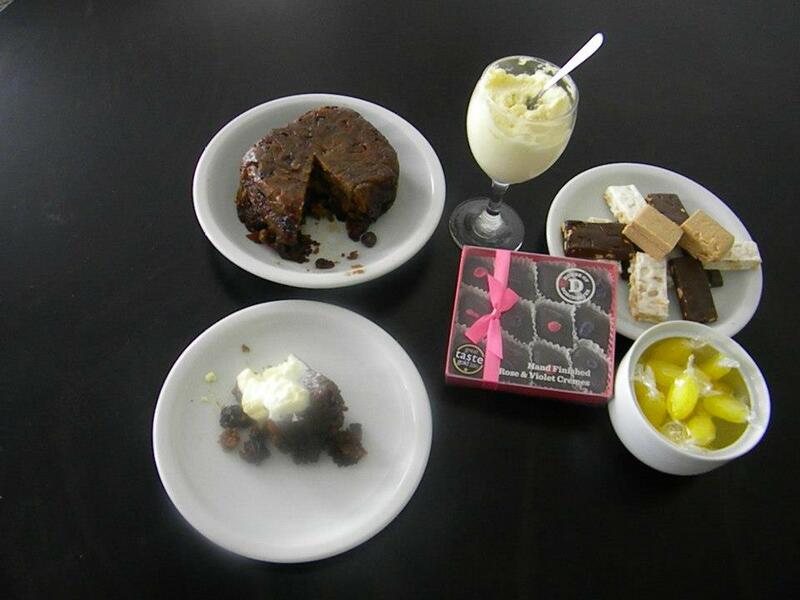 Christmas pudding and whipped cream followed. 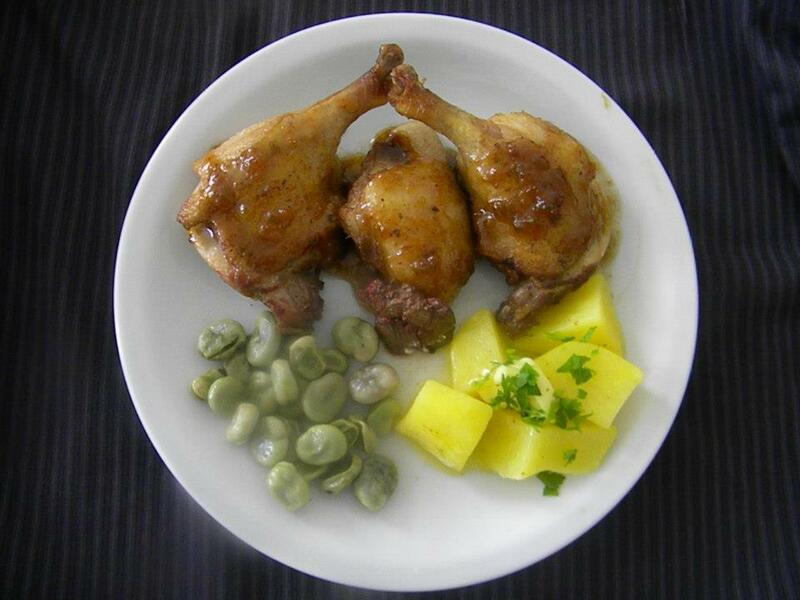 There would always be additions as I saw fit – roast leeks or parsnips, mashed rutabaga, butternut squash, etc. – but the core never varied. Now that I live in Argentina alone, where Christmas Day is not really a day of celebration (it all happens the night before – buenanoche), and where goose is hard to come by, I have shifted gears. 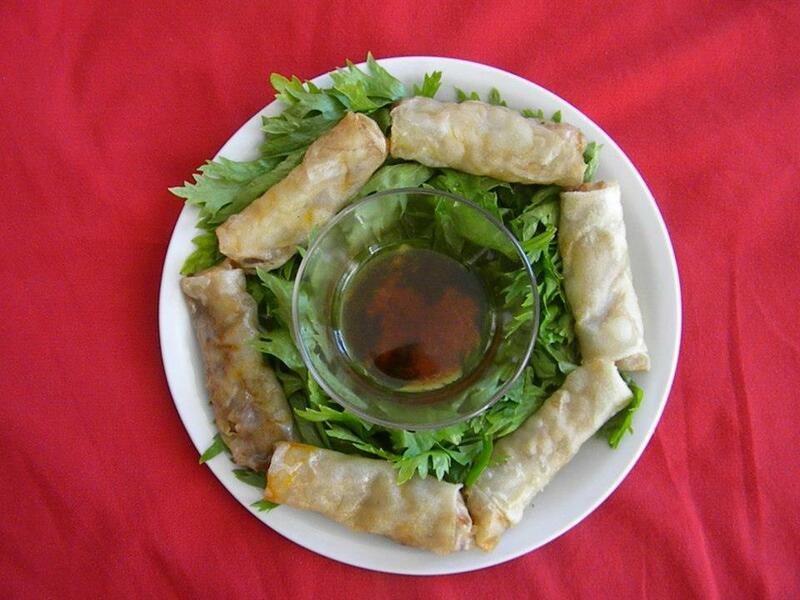 Here are some images from my dinner from 2012 –crisp spring rolls, braised duck with a fig glaze, buttered potatoes, and broad beans. 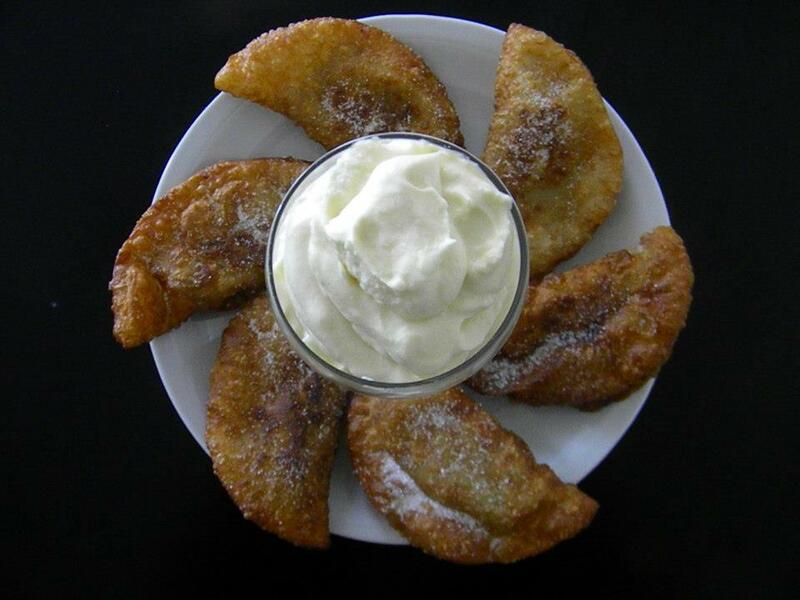 Of course I still have a Christmas pudding as well as mincemeat empanadas and emanaditas de membrillo (quince), the latter being standard for Christmas in Argentina. This year I am having braised Patagonian young goat with a spicy cream sauce, homemade egg noodles, and mashed spiced yams.